The Embraer Phenom 300 was the most-delivered business jet in the world in 2015 for the third consecutive year, with 70 aircraft received by customers around the globe. 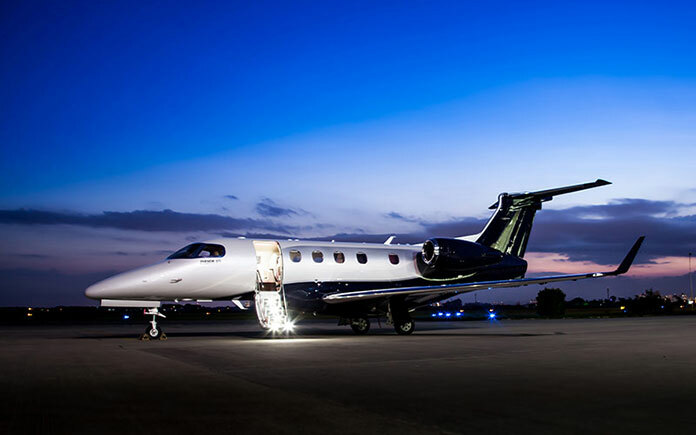 Recognized as one of the most desirable light jets by fractional programs, charter services, corporate flight departments and owner-pilots, 320 Phenom 300s are in operation in 28 countries. To date, the fleet has accumulated close to 300,000 flight hours. The Phenom 300 also was the most-delivered business jet in 2013 and 2014. The General Aviation Manufacturers Association recently released its 2015 worldwide year-end aircraft shipment and billing report, which showed Embraer Executive Jets’ market share had grown to 17% in terms of unit deliveries. 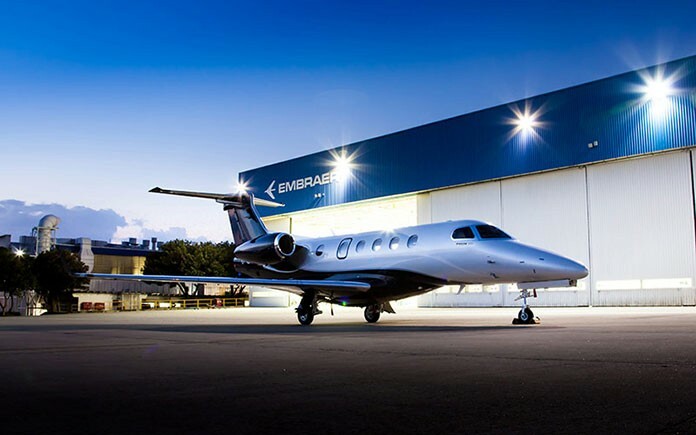 In 2015, Embraer’s executive aviation division delivered 120 aircraft, including jets in the Phenom, Legacy and Lineage families, the highest number in five years. 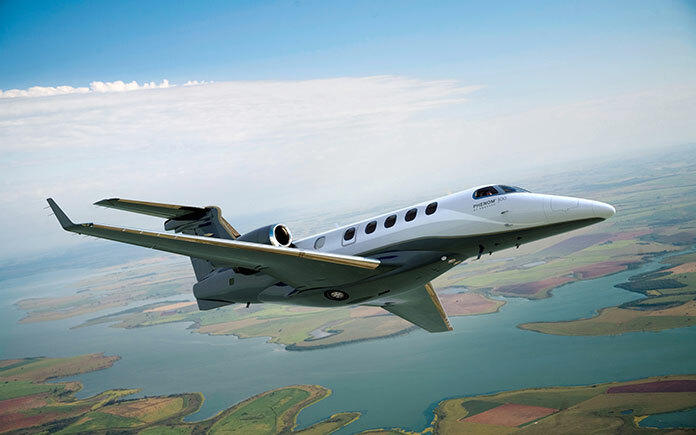 The Phenom 300 performs among the top light jets, with a high speed cruise of 453 knots and a six-occupant range of 1,971 nautical miles (3,650 km) with NBAA IFR reserves. With the best climb and field performance in its class, the Phenom 300 costs less to operate and maintain than its peers. The aircraft is capable of flying at 45,000 feet (13,716 meters), powered by two Pratt & Whitney Canada PW535E engines with 3,200 pounds of thrust each. The Phenom 300 offers a spacious cabin, designed in partnership with BMW Designworks USA, and the largest baggage compartment in its category. The largest windows in the class deliver abundant natural lighting in the cabin as well as in the private lavatory in the back of the aircraft. 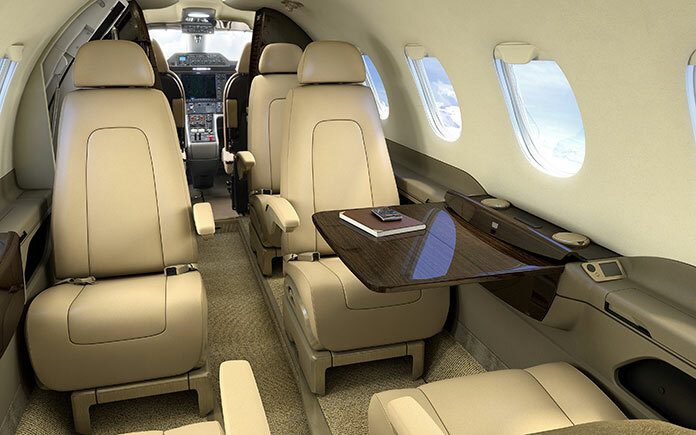 The comfort of the seats, with recline and full movement capability, is enhanced by the best pressurization among light jets (6,600 ft. maximum cabin altitude). 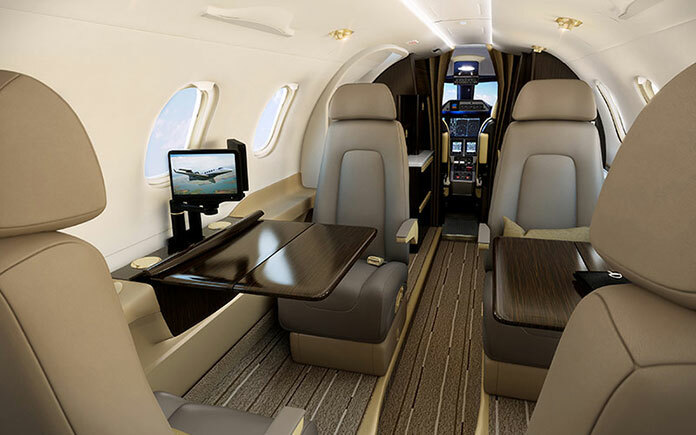 The Phenom 300 features distinct temperature zones for pilots and passengers, a wardrobe and refreshment centre, voice and data communications options, and an entertainment system.